Last week was SIGCSE in Kansas City. From all reports it was a great conference. I wasn’t there but I followed as close as I could via Twitter. The twitter stream was active with lots of links, pictures and interesting comments. I’ll get to read the papers at some point but I wish I had been there. 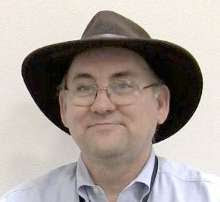 In any case I did collect some good links from SIGCSE to share this week. And a few from other places. Hope you find some useful. "Pre-symposium events included....Computing for the Social Good"
Mark Weiss was one of the keynotes and I really wish I could have heard that one. One thing he proposes is that you can teach all these topics (image below) in Excel! For example did you know that VLOOKUP in Excel uses a binary search? I didn’t but I guess I should have. A new (to me anyway) thing I saw a lot of tweets about was Pencil Code (https://pencilcode.net/) which is a tool for converting between blocks and text based code. I need to look into that one some more. I did add it to my Programming With Blocks post. 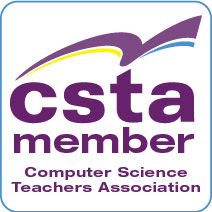 Recently I wrote a post for the CSTA blog about the CSTA Equity Committee which I currently chair. If you’ve wondered about CSTA Board committees this will be interesting. I updated my computer science education blog roll (http://blog.acthompson.net/2012/11/computer-science-education-blog-roll.html …) to include Leigh Ann Sudol-Delyser‘s new blog at http://csadvocate.org/blog/ I am so happy to see Leigh Ann blogging again. She recently completed her PhD from Carnegie Mellon which I hope gives her more time to blog again. Speaking of Excel I found this interesting post Excel Fun—Build 3D graphics from a spreadsheet on the Microsoft Office Blog. Lastly don’t forget this summer’s Annual CSTA Conference.